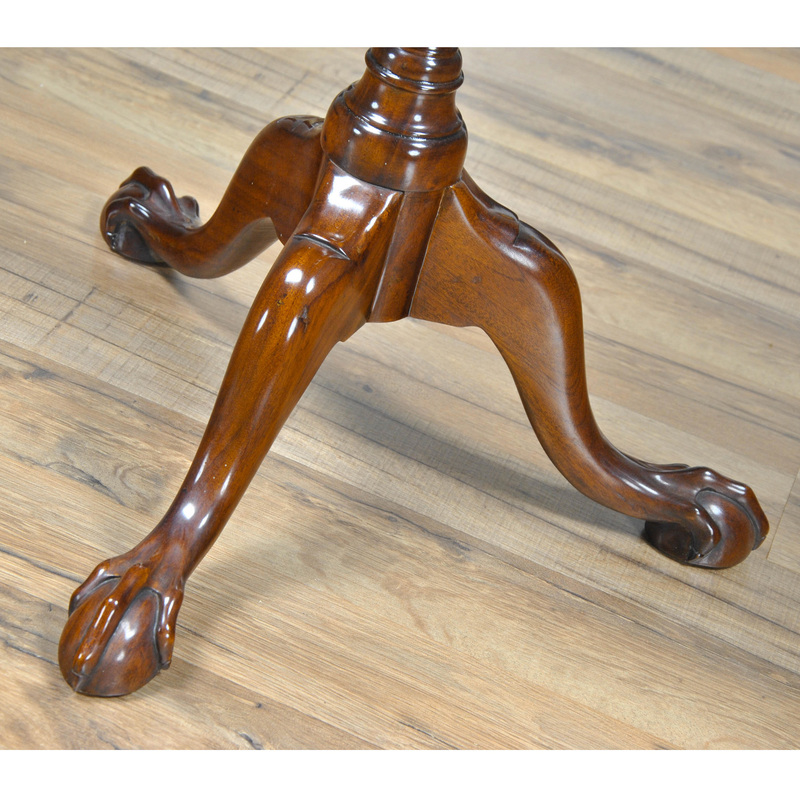 The Niagara Furniture Ball and Claw Pie Crust Table. 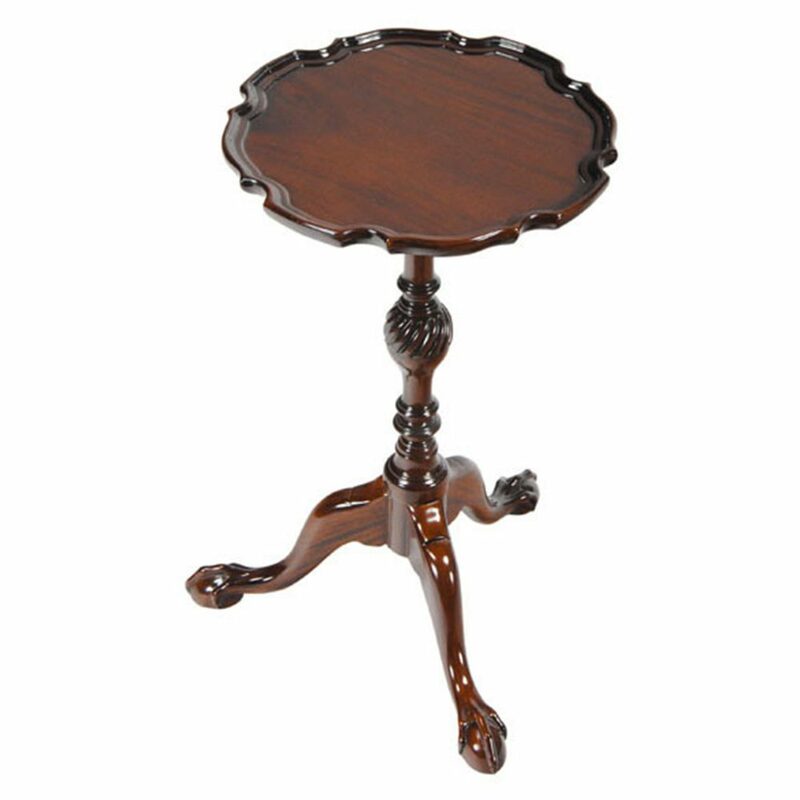 While petite and elegant this faithful antique reproduction is also sturdy and strong. 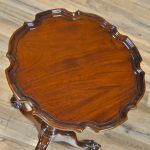 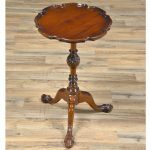 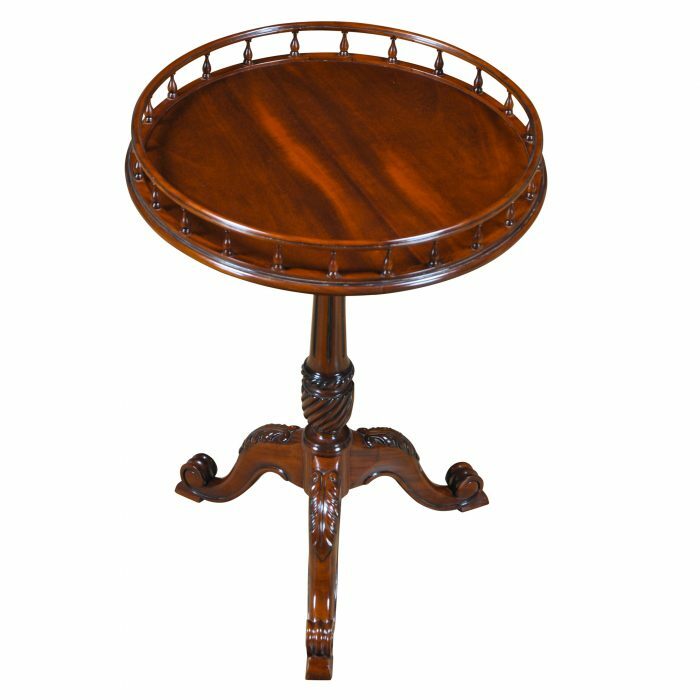 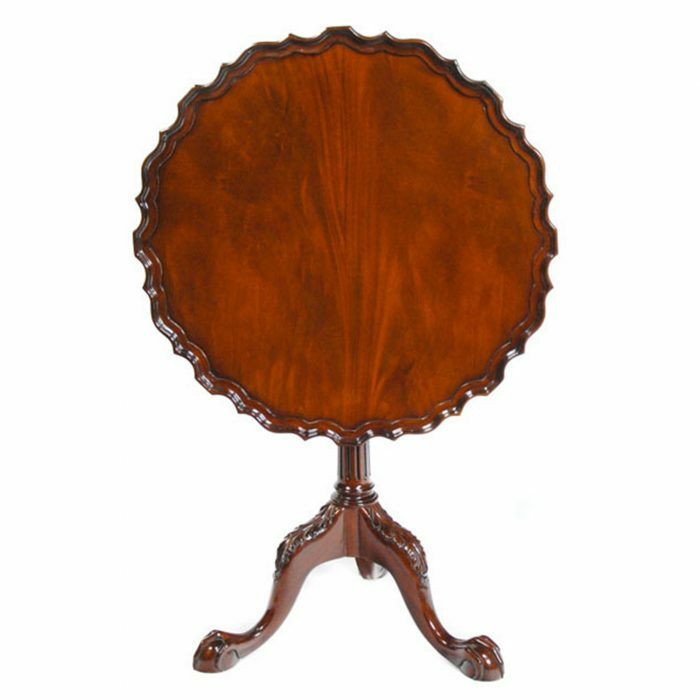 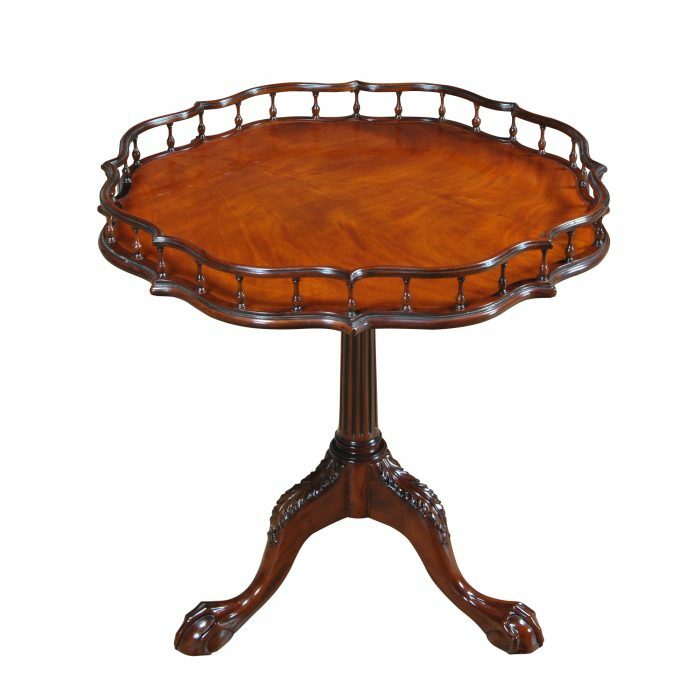 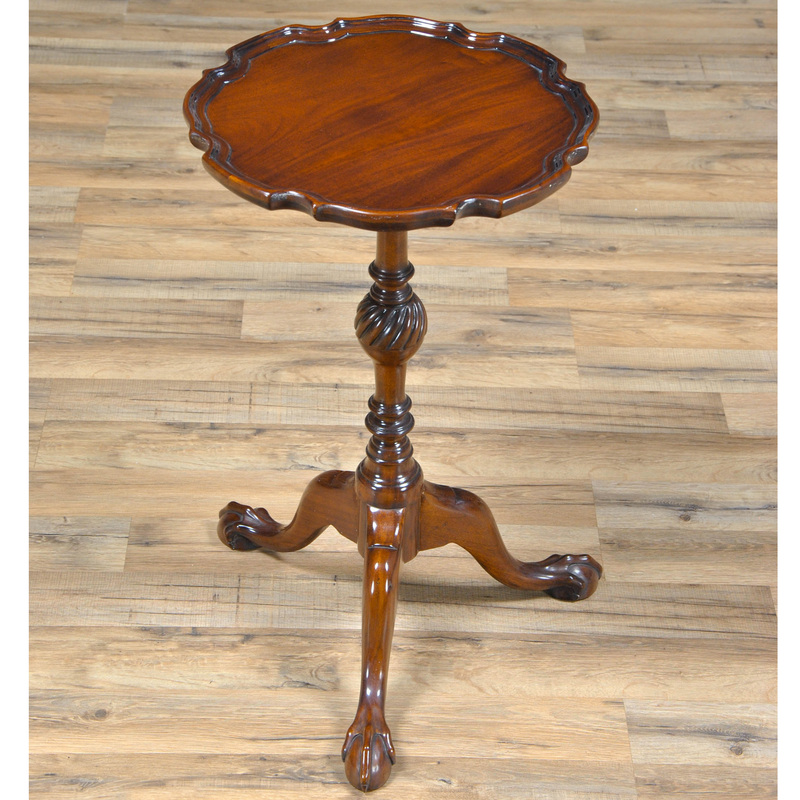 Great quality construction is the hall mark of our ball and claw pie crust table and it includes a sold mahogany column, solid mahogany legs and dovetailed joinery. 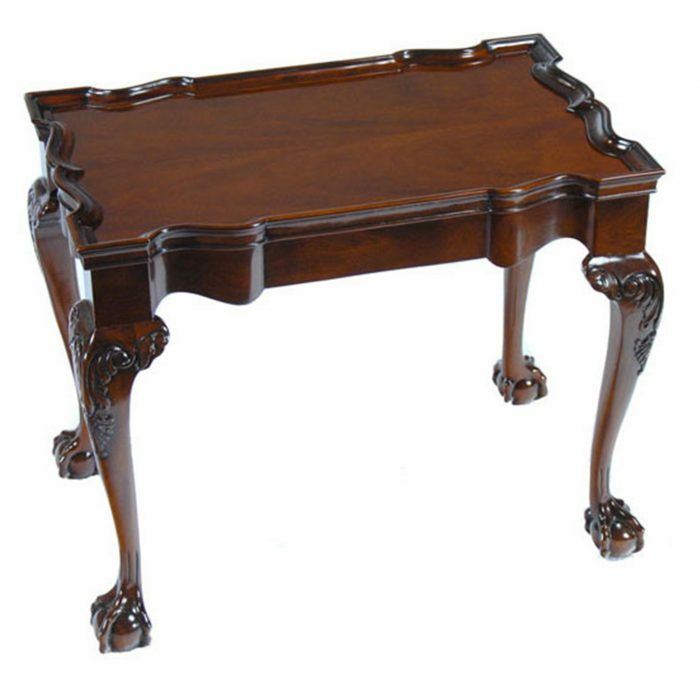 All of these pieces are produced by hand by skilled artisans with many years of training and experience and then finished to a golde brown hue which will compliment almost any room setting. 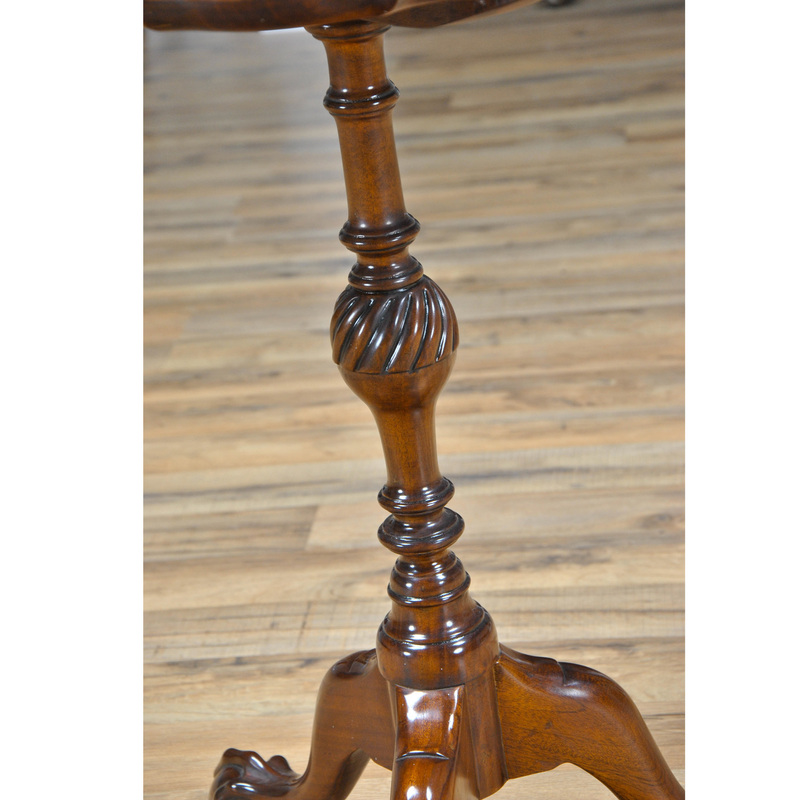 A tour de force all in a compact package.